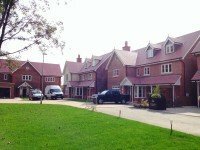 Thomas Roofing are a well established roofing company, with a strong reputation for offering excellent service, promptly and within budget, we never sub-contract the jobs we acquire. Thomas Roofing have successfully repaired and installed thousands of new roofs and are experienced in installing all kinds of pitched and flat roofs for houses, apartments and businesses. There are many different types and styles of roofing tiles, such as slate and clay, each has a different life span and different reasons for using them, but you can be assured that we will only use the best materials on every roofing project we undertake. Regardless of the size of the roofing project, we guarantee that we will always complete your roofing project to the highest possible standard. If you have sustained a damaged fascia or Barge board, or you need your gutter repairing, call Thomas Roofing for a fast affordable service. We fit new UPVC fascias, guttering and soffits, giving a real boost to the appeal of exterior of your property as well as ensuring the weather stays outside your home. Our team are skilled, friendly and reliable; they undertake any project required, large or small. We carry out a free assessment and then advise the best course of action and wherever possible we try to repair rather than replace faulty items. If you have a leaking roofs or chimney or damp walls, our trained staff will be able to offer advice on the best solution to your individual problem and all our work is guaranteed, for your peace of mind. You can view some of our many completed roof repairs on our Gallery Page or feel free to call us for a free quotation or complete our Contact Form.